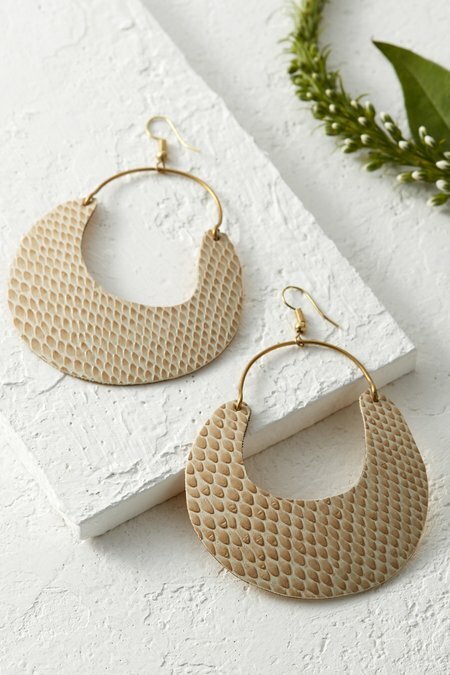 Realistically patterned serpentine embossing gives these dangly metallic hoops enigmatic presence. Wildly on-trend, they come in two neutral tones with equal mystique. Snake, python.